Yesterday one of the Iranian regime’s most loyal lobbying groups, the National Iranian American Council, took out a full page ad in the New York Times. 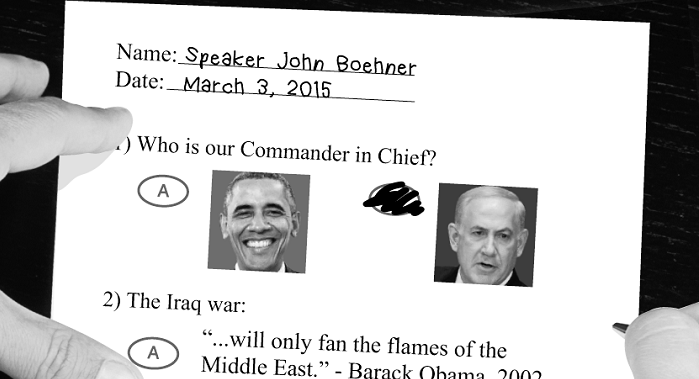 In it, the NIAC decrying House Speaker John Boehner’s invitation for Israeli Prime Minister Benjamin Netanyahu to address a joint session of Congress on Iran’s nuclear program. There is no argument that the Israeli leader’s presence is a controversial and divisive one, but the real issue at hand here is not his remarks, but the omnipresent effort by NIAC and other Iran sympathizers to do virtually anything to change the channel away from the key issues surrounding the Iranian regime’s conduct and instead shine the spotlight on other perceived villains. If Trita Parsi of the NIAC thought it would work, he would probably also take out full page ads in American newspapers blaming global warming, high cholesterol and the upcoming fifth season of Game of Thrones for derailing nuclear talks between Iran’s mullahs and the P5+1 group of nations. But the advertisement is instructive on several levels. One, it shows just how desperate Iran’s mullahs have become. At a time when ISIS and other terror groups pledging loyalty to them are busy beheading and burning Christians, Jordanians, Iraqis, Japanese, Britons, Egyptians and Americans on television around the clock, the American people’s concern over foreign affairs and fanatic Islam has now shot through the roof. A new poll conducted and released by CBS News showed a whopping 65 percent of Americans view ISIS as a major threat, up from 58 percent in October, with a majority of Republicans, Democrats and independent viewing ISIS as their top concern above jobs and the economy. The poll further showed a growing groundswell of support among Americans for the use of American ground troops to stop ISIS with 57 percent now favoring sending combat troops into Syria and Iraq. What bodes ill for Iranian regime sympathizers is the sharp rise among Democrats for action with a majority now supporting combat action. Which leads us to the second issue Iran’s mullahs are terrified about which is the U.S., pushed by concern over ISIS and continued failures at the bargaining table to win nuclear concessions from them, will finally throw its hands in the air and take matter into its own hands and force both issues. Iran’s religious cadres have worked tirelessly to gain control over Iraq’s political and military leadership. It has used the growth of ISIS as an excuse to move its Quds Force and the Revolutionary Guard Corps into Iraq and take over control of Shiite militias, as well as gain understanding of American combat tactics from Iraqi units trained by departing American forces. Without making any concessions in nuclear talks, Iran’s mullahs have managed to solidify their grip on Iraq and Syria and make deep in roads with Islamic extremist movements making gains in Yemen, Nigeria, Libya, Chad and Sudan. Iran’s mullahs have also managed to quash any dissent at home and have felt comfortable enough to arrest and imprison American journalists and missionaries without charge or trial and without fear of any retribution. Lastly, NIAC’s ad also reveals the almost pathological effort to find any villain it can blame for another failure in nuclear talks, especially when Mullah’s Supreme Leader, Ali Khamenei once again went on another public rant this week denouncing the U.S. and West, threatening economic repercussions on Europe and recommitting to a nuclear future. The timing of the ad in light of Khamenei’s venting is auspicious and a clear sign NIAC is hard at work covering for the Iranian regime. Parsi’s latest tactic only reveals the ever-growing weakness in the Iranian regime’s position as the March 24th deadline fast approaches. Iran’s Way or the Highway? One of the more intriguing aspects of the arguments put forward by the Iranian regime lobbyists and PR flaks is the near constant drumbeat of the message that hopes for any possible deal with Iran on nuclear weapons lies with the U.S. and not Iran. 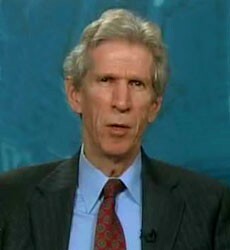 It is an argument advocated by Iranian regime loyalists such as Trita Parsi of the National Iranian American Council and Gareth Porter, a self-proclaimed historian and journalist, who most recently advanced the theory the U.S. negotiating position is unworkable and only foments the deep suspicions already inherent in Iran’s religious ruling class. 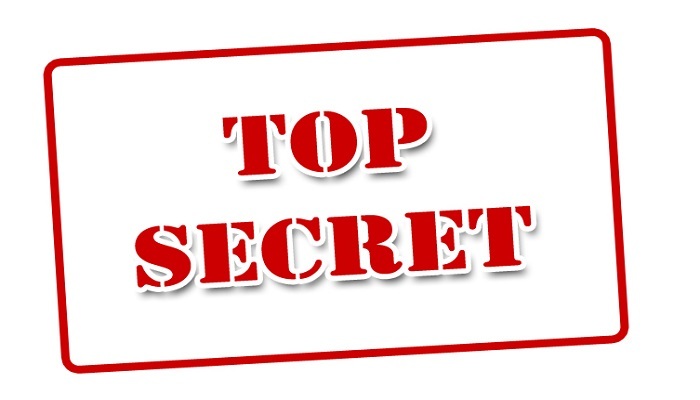 Consequently, he takes the position the U.S. must recognize the Iranian regime’s insistence on maintaining its enrichment capacity is not irrational and the sooner Washington recognizes it, the sooner a breakthrough will occur. It’s a position that might elicit laughter if the stakes weren’t so high. Porter further posits that decades of aggressive U.S. policy towards Iran has forced Iran’s leadership to harden its approach to the U.S. in negotiations with the ultimate goal of the immediate lifting of economic sanctions. Porter never mentions Iran’s broad and deep sponsorship and support of terrorist groups such as Hezbollah, Quds force, etc. and their past attacks killing U.S. personnel. He never mentions the almost decade-long brutal crackdown on Iran’s own people which includes censorship and access to media and the internet, as well as mass arrests and halts to demonstrations, rigged national elections – twice – and a sharp increase in the number and frequency of public executions of men, women and religious and ethnic minorities. Porter’s inability to exercise his historical insights to recount past acts by the Iranian regime as clouding American policy making is inexcusable and betrays his almost dogmatic approach to supporting whatever the Iranian regime position happens to be. One might daresay if the mullahs said the sky was green, Porter would concur. Even more telling is his comment that criticism coming from rivals within mullah’s hierarchy that their Supreme Leader Ali Khamenei’s failure to support negotiations with the U.S. was wrong because it would mean Iran was negotiating with the U.S. from a woefully weak position. The fact Porter believes Iran’s negotiating position needs to be one of strength vis á vis the West says more about his allegiances than the need to eliminate nuclear weapons and prevent a new arms race in the Middle East. If Porter was the historian he pretends to be, he would recognize the mistakes made in the run up of the first Cold War in which unbridled nuclear development placed the world at the brink of a nuclear apocalypse. At no point does Porter decry Iran’s march towards a nuclear weapon. In fact, he acknowledges Iran’s mullahs already possess the ability to build a nuclear weapon with the enriched fuel on hand. Instead he maintains the party line that sanctions must be lifted in order for any agreement to be reached. He misses the exact opposite point of view that given the brutal nature of the Iranian regime and its involvement in literally all of the world’s hot spots involving extremist Islamist groups, one could hardly call the responses to Iran irrational. The ever faithful Iranian regime lobbying machine spit out another gem with an editorial authored by Trita Parsi and Tyler Cullis of the National Iranian American Council entitled – amusingly enough – “How Congress Can Learn to Stop Scuttling and Love the Iran Nuke Talks” that ran in Foreign Policy. It is a startlingly similar title to the 1964 classic anti-nuclear satire film “Dr. 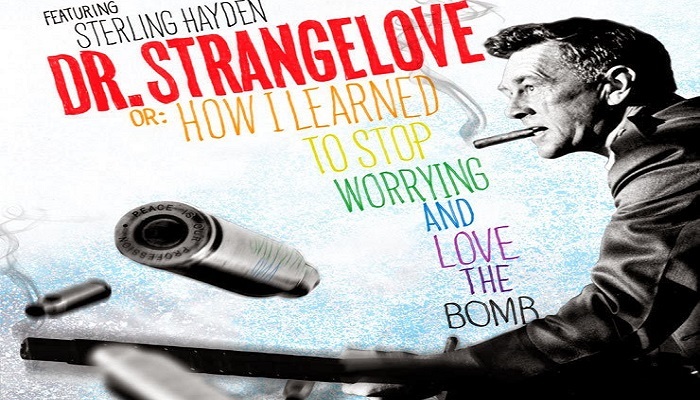 Strangelove or; How I Learned to Stop Worrying and Love the Bomb.” The story concerns an unhinged United States Air Force general who orders a first strike nuclear attack on the Soviet Union. It follows the President of the United States, his advisers, the Joint Chiefs of Staff, and a Royal Air Force officer as they try to recall the bombers to prevent a nuclear apocalypse. It’s a sentiment shared in spirit by Iran’s ruling mullahs, in particular Supreme Leader Ayatollah Ali Khamenei who has consistently called the West and American culture in particular a plague. This belief is usually punctuated by annual demonstrations denouncing America and the pursuit of a foreign policy aimed at destabilizing and even attacking American interests and citizens through a vast global network of terror and extremist groups funded, armed and supported by Iran’s mullahs and the Iranian Revolutionary Guards Corps and Quds Force. In the piece authored by Parsi and Cullis, they attempt to portray a battle of Titans between President Obama and Congress over the threat of re-imposing economic sanctions on Iranian regime, should a deal fail to materialize. Most noteworthy is their attempt to frame the central key issues in being able to reach a deal around Congress’s fickleness in following through on any negotiated deal with Iran. Hence, Iran’s mullahs cannot trust any deal with the U.S. since the Congress is hell-bent on punishing the regime in Iran anyway. They further propose the only real way to reassure the mullahs is for Congress to pass legislation removing the bulk of sanctions up front in any deal by empowering the President to do so on his own. In essence, Congress should abdicate responsibility of oversight on any deal and allow President Obama to close a deal with the mullahs in Iran as he sees fit. The idea is problematic since Parsi and Cullis blissfully ignore the past two years of two other failed negotiating rounds. They ignore a record of dismal human rights abuses by Iran’s mullahs since “moderate” Rouhani took office. They ignore the rapid growth of not only ISIS and the marked brutality of executions videotaped for global consumption, but they also ignore the chaos now circling the globe with violent Islamist extremists on the march in Sydney, Ottawa, Paris, Copenhagen, Belgium, Syria, Iraq, Afghanistan, Lebanon, Yemen, Nigeria, Chad, Sudan and now Libya. They ignore Iranian regime’s long involvement in supporting these groups through the steady flow of arms, training, fighters and cash. As Dana Perino, former White House press secretary for President George W. Bush, said recently on the Fox News Channel’s “The Five” that Iran is at the center of virtually all of the unrest now going on with Islamic extremism in these global hot spots. The pair also ignored the most basic political reality for the U.S. right now and that is after landslide losses in the midterm elections, President Obama has lost his mandate from the American people who now rank terrorism above jobs and the economy as their chief concern in 2015; hardly surprising given the almost daily news coverage of executions and beheadings, including the brutal slayings of 21 Egyptian Coptic Christians in Libya and the killings in Copenhagen. Lastly, it is also worth noting the final gaffe in the logic of Parsi and Cullis and that is opposition to Iran mullahs developing a nuclear weapon is bipartisan. The fact that Democratic Senator Richard Menendez (D-NJ) is leading the sanctions push is no accident, as are voices of concern from prominent Democrats such as Senators Dianne Feinstein (D-CA), Chuck Schumer (D-NY), Bob Casey (D-PA), Joe Manchin (D-WV) and several others who have warned President Obama not to enter into any deal without review and approval by the Senate. All of which adds up to one question, will the third round of negotiations buy the charm? Judging by the Iranian regime’s decisions to go all in on supporting terror groups and Islamist extremist groups around the world and double down on an even more brutal crackdown on political dissent at home, it seems Iran’s mullahs have calculated the West and President Obama needs a deal more than they do. 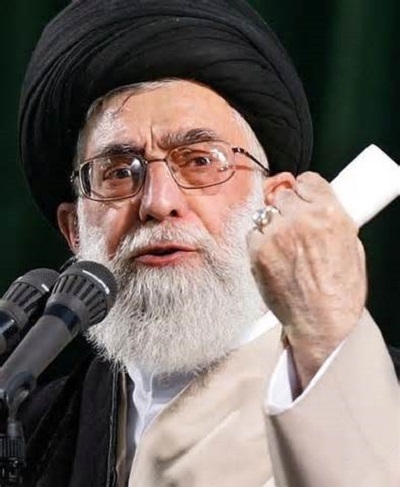 In fact, Khamenei has already openly opined by the Iranian people’s ability to withstand even harsher sanctions in the hopes of pushing their expansionist agenda. By March 24th, the world is liable to see that Iranian regime is indeed committed and its mullahs are true believers in their mission to spread their extremism around the world no matter the cost. A statement made by Iranian Brigadier Gen. Hossein Valivand and made public through various official Iranian regime news agencies has largely escaped notice in the Western news media, but portends a significant and dramatic shift of events taking place in Iraq. As reported by Jacob Siegel in The Daily Beast, Valivand, who runs the Mullah’s Army’s Command and General Staff College, said “Iranian military experts are prepared enough to offer training to Iraqi forces,” according to Presstv, Tehran’s English-language news outlet. “Valivand added that the issue of training Iraqi soldiers had been discussed during a recent visit by Iraqi Defense Minister Khaled al-Obeidi to Tehran,” Presstv reports. Siegel describes a meeting last December between Iraq’s defense minister and his Iranian counterpart in which a mutual security agreement was signed. 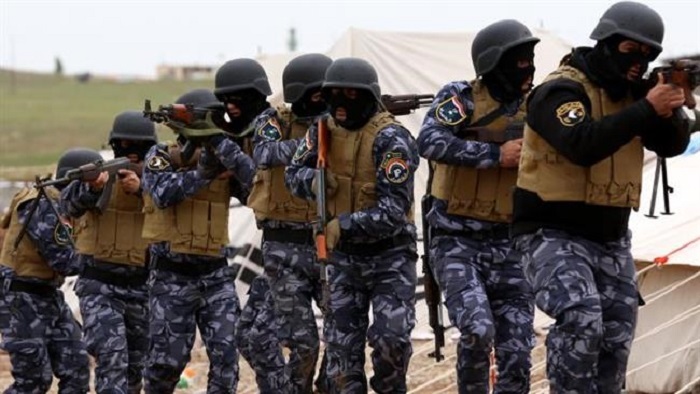 Details were not widely released, but one provision is the training of Iraqi military forces by Iranian officers, continuing the process already begun by the Iranian Revolutionary Guards Corps. “Iran has obviously been training the Shia militias and using the proxies very effectively in Iraq and elsewhere. I’d imagine that Iran is hedging their bets: Train the security forces and the militias so you can increase your influence and facilitate the coordination between the formal service and the militias and ensure that, whoever comes out the winner, you retain effective control. It’s the same playbook in Lebanon; Hezbollah has been the proxy but Iran has also exerted increasing influence over the uniformed military services,” said Mark Dubowitz with the Foundation for Defense of Democracies, a non-partisan policy institute. Dubowitz added that the move by Iran to train Iraqi officers would give Iran significant insights into U.S. training tactics. All of which leads to a significant question: Why is the U.S. allowing the regime in Iran a free hand in retraining Iraqi military units the U.S. has spent the last six years training in order to hand over security during the pullback of U.S. forces? The situation the U.S. finds itself in grows more complicated each day as ISIS continues expanding and consolidating its hold in Iraq, while the Iranian regime seeks to drive a deeper wedge between Sunni and Shia populations in Iraq and bolster Shiite militia friendly to the regime. Iran’s mullahs ultimately have bet that the U.S. will no longer want to stay in Iraq and Iran will gain a free hand to turn Iraq into Iran’s newest provincial holding. Part of that calculation comes from the apparent willingness of the Obama administration to adopt the “enemy of my enemy is my friend” policy approach when looking at Iran’s outsize influence in Iraq in the fight against ISIS. The fact that Iran’s policies in Iraq in supporting the government of former Prime Minister Nouri al-Maliki and force out Sunni leadership in any power sharing coalition eventually led to the explosive growth of ISIS in Iraq in the first place seems to be irrelevant to Obama administration officials. The fact Iran’s training of local militias in the fight against ISIS is the first line of defense in Iraq is no accident. Iran hopes to prevent the re-emergence of a Sunni coalition in the government in order to preserve its premier positon of power in Iraq and Shia militiamen are quickly becoming the local muscle in enforcing its will. Shia militiamen have been implicated in the massacre of more than 70 Sunni villagers just within the last month. Another two Sunnis were beheaded recently in a Sunnis town, by regime backed Shiite militias, which raised a lot of protests among Sunnis. The prospects for further Iraqi sectarian bloodshed on par with what is going on in Syria is quickly becoming reality as more concessions is given to the mullahs in Iran, while U.S. control wanes. How Can The World Trust Iran mullahs? This question comes into even more stark relief on reporting from Jennifer Griffin of Fox News who uncovered a shadowy covert cell operating within the Iranian Revolutionary Guard’s Quds Force known as Unit 190 which has fueled many of the conflicts and civil wars raging across the Middle East and North Africa. The U.S. has engaged in a veritable cat and mouse game trying to shut down illegal front companies for the Quds Force involved in the trafficking of weapons only to have new ones spring up overnight in an aggressive effort to defeat sanctions. Iran’s weapons have found their way to fighting in Sudan, Yemen, Lebanon, Afghanistan, Iraq, Syria, Egypt, Libya, Somalia and Nigeria. For intelligence officials, the more operative question to ask is where has Iran not shipped weapons? All of which raises the central question facing nuclear talk negotiators. How can mullahs in Iran be trusted with any agreement if it already continually and actively seeks to evade sanctions on conventional weapons, let alone nuclear ones? The answer can be found in only one place; Iran itself. Iran’s actions and the support given by its mullahs for the Quds Force’s activities are more damning than anything else Iran could do. It is a matter of national policy that Iran seeks to stoke these bloody conflicts. Put simply, Iran’s mullahs believe sincerely in sowing chaos throughout the world to keep the West off balance and lay the ground work for the expansion and rapid growth of extremist movements beholden and sympathetic to Iran’s brand of religious extremism. Before anyone forgets, Iran is a religious theocracy governed not by the rule of law and the ballot box, but by the whims and personal interpretations of the mullahs who ruthlessly hold onto their power by crushing political dissent at home and making liberal use of the hangman’s noose; to the tune of 1,200 men and women during the past year and a half. Through it all, Iran’s lobbying machine in the form of the National Iranian American Council and cadre of sympathetic or clueless commentators, journalists and public interest groups have blithely ignored Iran’s track record. If negotiators want to see the truth of Iranian regime’s intentions, watching Fox News reporting on Unit 190 would be an instructive place to start. This past weekend, the P5+1 group of nations negotiating a potential nuclear arms deal with Iran held impromptu meetings against the backdrop of worsening conditions in Ukraine with separatists battling for control of large swathes of that country. In a closing press conference with German Chancellor Angela Merkel, President Barack Obama signaled his clearest belief yet additional extensions to negotiations would not prove useful, nor be granted should this latest third round of talks fail to yield a framework of an agreement by March 24th, a deadline imposed by Senate Democrats. Iranian Foreign Minister Mohammad Javad Zarif offered a slightly differing take when he also agreed any extension would not be useful, but reiterated mullah’s position that economic sanctions be quickly lifted completely should a deal be worked out. In short, Zarif wants a blank check in restoring and normalizing relations with the U.S. In many ways Zarif could be forgiven his rose colored glasses. He has witnessed the West cave in twice before on negotiating sessions in which mullahs in Iran gave up barely anything and in return, is in the process of receiving $11 billion in frozen assets in several payments at a critical time for Iran’s economy as oil prices tanked globally and Iran’s military commitments in Syria, Iraq, Yemen and Afghanistan were taking a toll. Zarif has also seen Obama’s foreign policy deteriorate in Europe, Asia, Africa and the Middle East with radicalized Islamist movements gaining nearly everywhere; all of which has led him and his bosses, Iran’s Supreme Leader Ayatollah Ali Khamanei and President Hassan Rouhani, to calculate just how long they can get away with dangling the carrot. The unfortunate hiccup for them came with the midterm elections in the U.S. when an American public, sickened by the violence taking place around the world and seeing grisly videos of killings, acted swiftly to send an unmistakable message that terrorism was a top concern. Iranian regime’s imposing PR and lobbying machine in the U.S. towed the party line as groups such as the National Iranian American Council gamely tried to persuade doubting lawmakers that Iran was indeed ready to deal. Their latest so-called “win” was the move by Senate Democrats to delay re-imposing sanctions until March 24th, but all that did in effect was move the June 30th deadline up by three months instead. Now faced with the dark reality of receiving no more extensions, mullahs in Iran are holding onto the position that any agreement be accompanied by a full and complete cessation of sanctions. In essence, mullahs in Iran wants a do-over and behave as if the past decade of terror, violence, brutality and human rights violations had never happened. “Sanctions are a liability; you need to get rid of them if you want a solution,” Zarif told attendees at the Munich security conference. It’s an odd statement since he implies sanctions have to be lifted first before a deal is completed. Secretary Kerry added to the oddity by outlining an acceptable deal would slow Iran’s ability to enrich enough uranium to build a nuclear weapon by one year. That’s say that again: An acceptable deal with Iran would “slow down” the ability to build a bomb by a year. 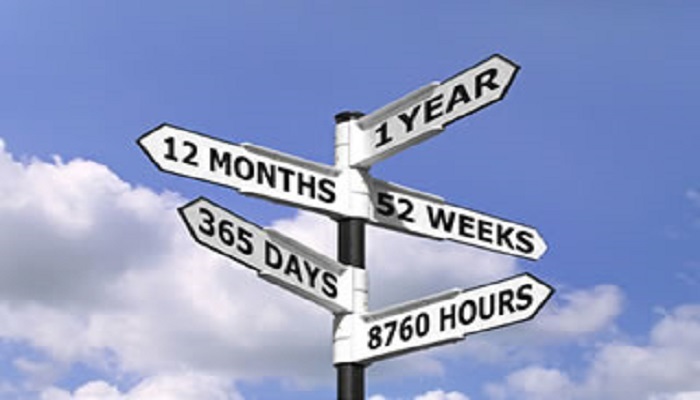 Not “prevent” Iran from ever having a nuclear weapon, just delay it by a year. It is hard to fathom a worse situation than to allow Iranian regime the mildly inconvenient cost of 365 days before it gains a nuclear weapon. 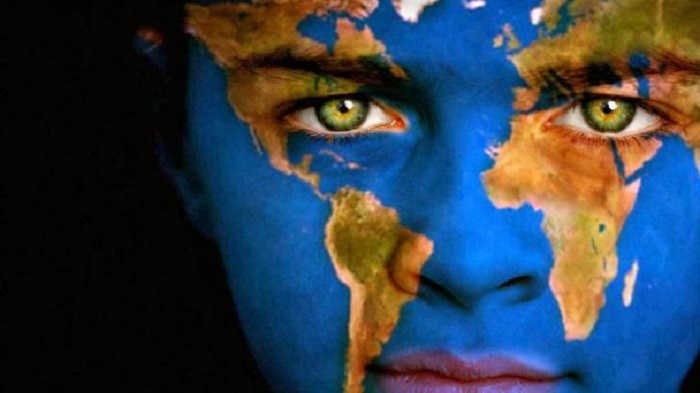 It is not a scenario that bodes well for the rest of the world. “I would go along with any agreement that could be made. Of course, I am not for a bad deal. No agreement is better than an agreement which runs contrary to our nation’s interests,” Khamenei said. He then alluded to the possibility of agreeing to a deal that did not deliver all that Iran was seeking, which on casual inspection might bode well for a deal to finally be closed. His comments came at the start of the annual Munich Security Conference where an impromptu meeting of the P5+1 negotiating countries (the U.S., Russia, China, Britain and China) took place with Iran’s Foreign Minister Mohammad Javad Zarif. While the Munich conference was ostensibly going to be focused on the conflict between Russia and Ukraine, Zarif and Secretary of State John Kerry took the opportunity to do some bargaining. The renewed push for a deal reflects the very real deadline imposed by a newly energized Congress eager to flex its muscles against a recalcitrant Iranian regime that has so far stalled for two years in reaching a deal while at the time contributed greatly to the growing and rapid deterioration of the Middle East. Khamenei and his handpicked front man in President Hassan Rouhani have calculated correctly the patience of the American people had finally been worn down to a nub and if any deal was going to be done, it had to come sooner rather than later. The only question for them was how willing was the West to cave and give Iran what it wanted which was a preservation of its enriching and refining capacity in order to continue the development of a nuclear device? Given the relative paucity of any positive news on the foreign policy front with radical Islamist attacks in Canada, Australia and France and the brutal beheadings and burnings by ISIS and the collapse of Yemen and chaos in Libya and Nigeria, it is reasonable to assume the West might very well give in for even the merest glimmer of deal. 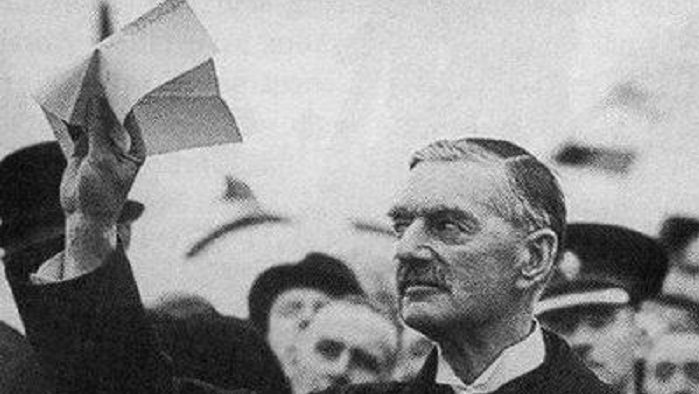 For historians, the parallels to Munich and British Prime Minister Neville Chamberlain’s fateful meeting with Adolf Hitler where he essentially gave Czechoslovakia away to Nazi Germany in 1938 in order to hold up a piece of paper upon his returning declaring “Peace in our time” to what is happening in Munich this weekend is striking and deeply disturbing. Just as appeasement of a brutal dictator by the West did not work and instead accelerated the start of World War II, the same appeasement of Iran by the West today will only inevitably lead to a dangerous reckoning down the road. A powerful and insightful comment Secretary Kerry would be wise to remember while in Munich. A curious thing happened to the powerful lobbying machine working tirelessly around the clock to halt the re-imposition of economic sanctions by a bi-partisan coalition of Senate Democrats and Republicans last week who felt after two earlier rounds of talks failed the current third round was going nowhere fast as well. Iranian regime’s sympathizers rejoiced at the agreement by Senator Robert Menendez (D-NJ) to postpone action until March 24th and give the Obama administration two additional months to demonstrate there had been meaningful progress towards a verifiable deal agreeable to Congress. Led by the National Iranian American Council, they boasted of the “win” and what it portended for the future of a nuclear agreement. But in the span of two weeks, these same Iranian loyalists are now suddenly crying foul over the two month delay, now contending all it did was move the original deadline up for a deal from the June 30th deadline agreed to by the P5+1 group negotiating with Iran to March 24th. In essence, the “win” shaved three months instead of gaining two months. There is nothing quite like patting yourself on the back as a winner only to realize you were an idiot. It seems the NIAC is having a case of buyer’s remorse. While it seems the vaunted Iranian lobbying machine may have shot itself in the foot, the truth of the matter is that they have not really lost time. In fact, one could argue Iran has already gained two years since the first round of talks collapsed in failure and were kept on a respirator through another failed round of talks last November. In fact, American public opinion had swung solidly in favor of action against the unprecedented growth in radical Islamic terror around the world as epitomized by the ISIS video depicting the horrific death of Jordan’s pilot by fire, which was simply the straw breaking the camel’s back, forcing Senators to act. This is the essential point Iran’s cadre of supporters are frankly scared witless about; the sanctions ship has already sailed in large part because mullahs in Iran have already had three years to make good on any substantial deal. But in that time, Iran has poured vast resources of arms, fighters and cash into terrorist activities. It has helped Hezbollah as it fought in Syria, Iraq as it took over that country’s military, orchestrated the total collapse of Yemen and allowed ISIS to spring forth just on the foreign policy front. At home, Iran has publicly executed over a 1,200 men and women, cracked down on Internet access, blocked social media, arrested and imprisoned political dissidents, journalists, ethnic and religious minorities and even American citizens. The fact that a delay to March 24th was granted is quite probably the last shred of hope the Iranian lobby is likely to receive. 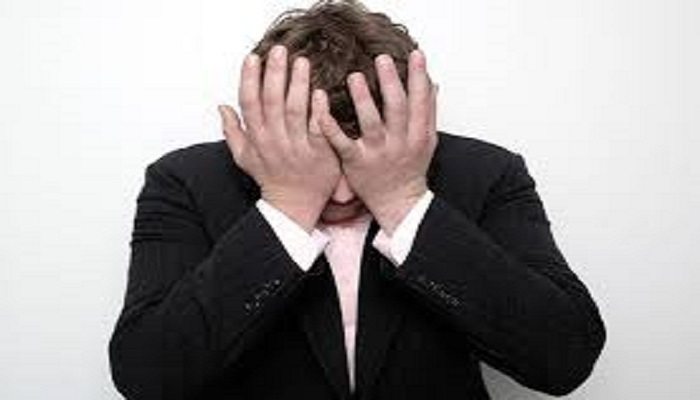 The fact they are now crying over it is more a testament to their own inadequacies than anything else.